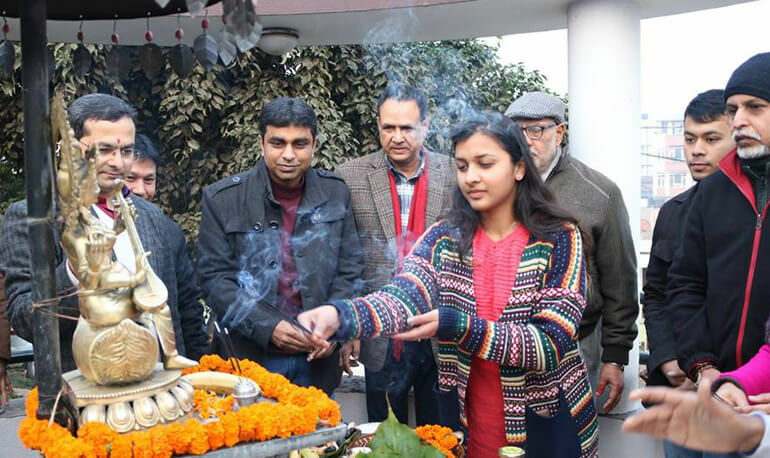 Kathmandu College of Management continued its tradition to celebrate Saraswati Puja on 1st February, 2017 in college premises. It is a festival which is celebrated in honor of the Goddess Saraswati-the deity of knowledge, music, arts, wisdom and learning. Along with the students, faculty members arrived to worship and seeked blessings from the goddess as well as recited the famous saraswati shloka.